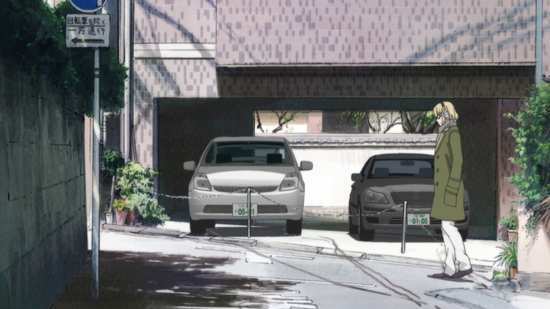 One of the delightful things about anime is how it can offer a window into another culture. Different customs and traditions, different ways of life can be presented in contemporary stories, and you can also get an idea of another country’s history. That’s no less true for games and pastimes, and I’ve had a lot of vicarious fun with Mahjong (Saki), Karuta (Chihayafuru), and Hanafuda (Summer Wars). 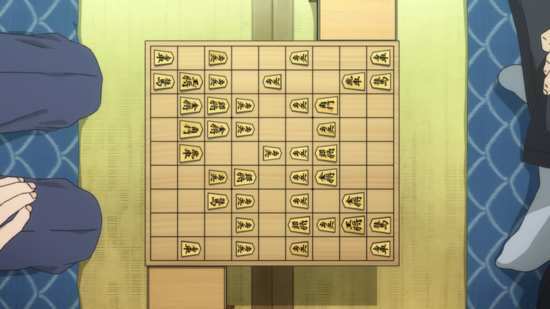 And now we can appreciate the intricate strategy of Shogi in March Comes in Like a Lion. But there is always a danger in presenting a game or a sport that a viewer isn’t familiar with. There might come a point where the rules and strategies behind the game go so far over the head of the viewer that they start to tune out. Of course that all boils down to how you tell the story, what visual and narrative tricks you use to hold the attention. Quite recently, even chess fans were complaining about the ‘dullness’ of watching two grandmasters drawing 12 games in a row, and having to decide the winner in a ‘sudden death’ match. 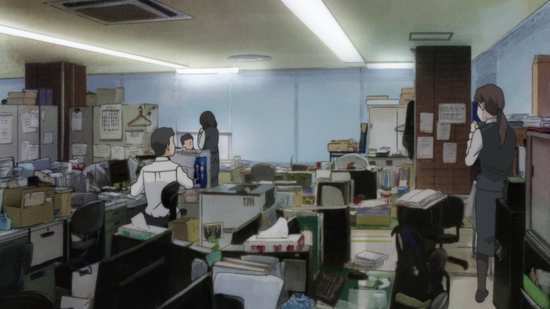 The concluding 11 episodes of Season 1 are presented across three Blu-rays from All the Anime. You have the choice between PCM 2.0 Stereo Japanese and English with optional translated subtitles and a signs only track, although for the purposes of this review, I stuck to the Japanese audio with subtitles. The dialogue is clear, and the subtitles are accurately timed and free of typos, although like most Aniplex titles, the captions have a habit of wandering between the top and bottom of the screen. The actors are suited to their roles, and the show has the novelty of a toddler that actually sounds like a toddler. Where the show really impressed me though is with the music, both incidental and the theme songs, which can be delicate, powerful, moving and perfectly suited to the subject matter. Disc 2 continues the Moving Meow Shogi shorts with Part 2 lasting 4:24, and Part 3 running to 4:08 for more shogi lessons. Disc 3 has the rest of the Moving Meow Shogi shorts, all seven of them, in total running to 33:06. You also get the Second Season Announcement Trailer and the English Version Trailer. I haven’t seen the packaging or the physical extras to comment. 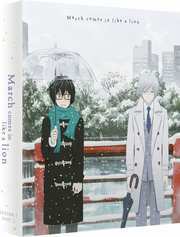 I like March Comes in Like a Lion, I really do. It’s got a great story, and it has a cast of interesting and complex characters. 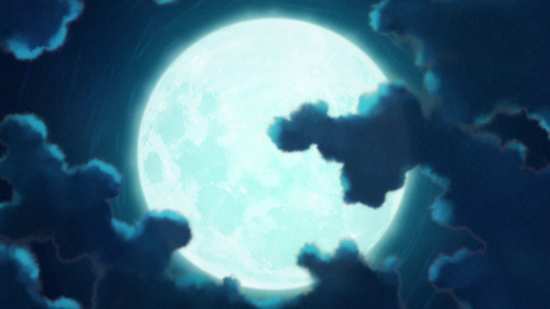 Its strength really is in the character study, and they gain dimension more than in the usual anime series. But Part 2 of the series didn’t impress me as much as the first half, and it took me a while to realise just why. While the characters are strong, it turns out that narrative isn’t this show’s strong suit, and the story takes on a radical shift in this collection which might serve as a disappointment if you expected more of the same from the opening half of the series. 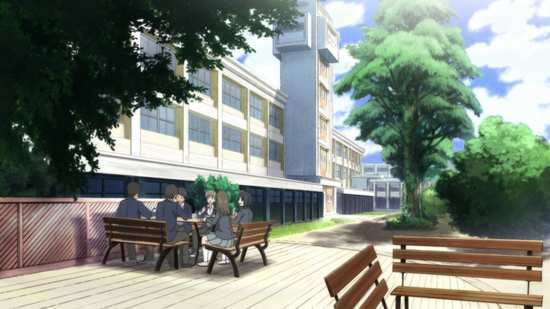 The opening eleven episodes introduced the characters and developed the dynamic between them, with introverted Rei Kiriyama in the centre of a circle of characters, most notably the Kawamoto sisters, friendly rival Nikaido, his teacher from school, and his adoptive family, most notably his sister Kyoko. 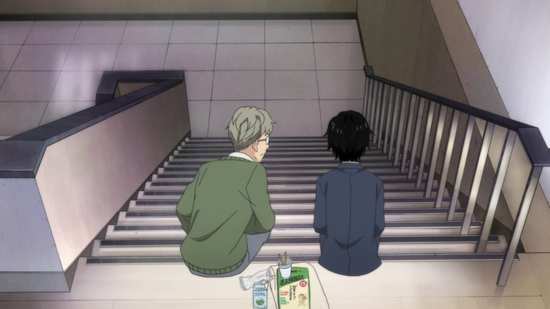 The show seemed to be all about Rei and how he was supported/hindered by these people as he grew up with the consequences of losing his family, and his talent for playing shogi. 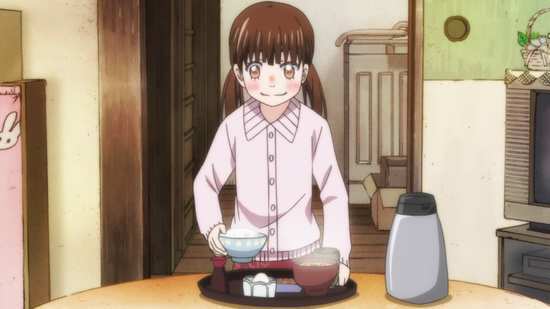 In this half it comes as a strong reminder that this is a show about shogi, and most of the other characters, particularly the adorable Kawamoto sisters take something of a back seat, as Rei has to compete in an important tournament, and concentrate on his game. The focus in this half of the collection really is on the game, and we get little snippets of the other characters to remind us that they are there, but not much in the way of character narrative. 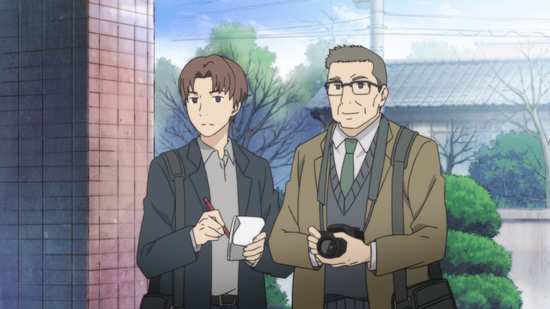 We do meet a new character in this collection though, Kai Shimada who plays a significant role here, and even takes centre stage towards the end of the collection. 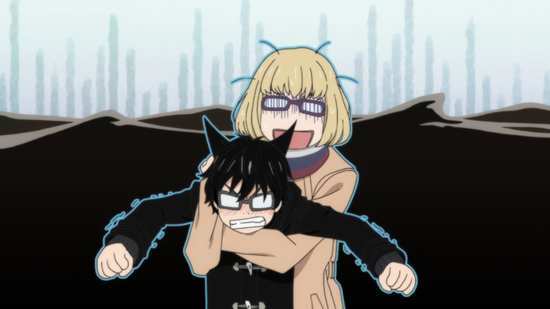 Rei first faces him over the shogi board during a tournament, and it transpires that Shimada is mentor to Nikaido. Shimada takes an interest in Rei, and invites him to join his shogi workshop. Just as Rei is pressured to succeed at shogi, in his case to support himself, Shimada has had a lot of pressure on him since childhood to reach the pinnacle of the game, but has never quite managed it, always staying at 8th Dan level. This time he gets to play the #1 player, the Meijin Toji Souya, and it’s his best chance yet. For the latter half of the collection, it’s as if he’s the main character, with Rei supporting him, even though the story is still told from Rei’s perspective. Most sports anime play out like Rocky, plucky characters succeeding against immense odds, underdogs and outsiders all, turning the sporting world upside down. 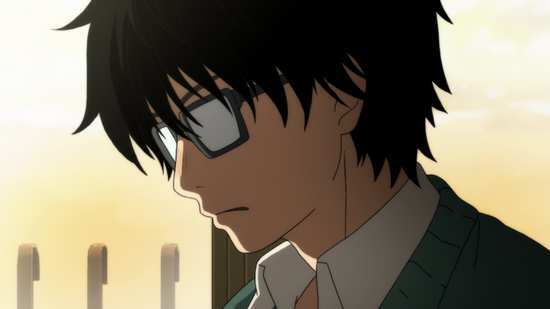 March Comes in Like a Lion isn’t one of those shows. There are no unexpected turnarounds, no triumphs, and few successes. 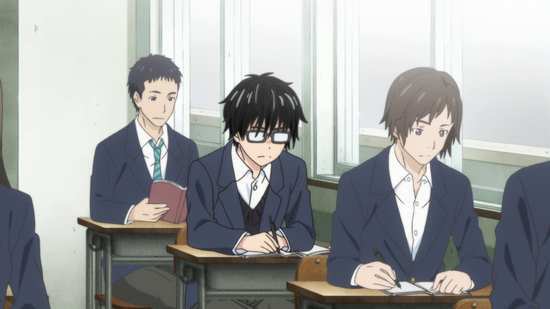 The shogi players are ranked the way they are for a reason, and when maintaining one’s rank is a challenge, rising through the ranks is a near impossibility. This show is less about victory, as it is about dealing with defeat and disappointment, and that mirrors the psychological level the games are played at. The eleven episodes in Season 1 Part 2 really are about the shogi, and it might be a good idea to watch the bonus short animations all before watching the series. 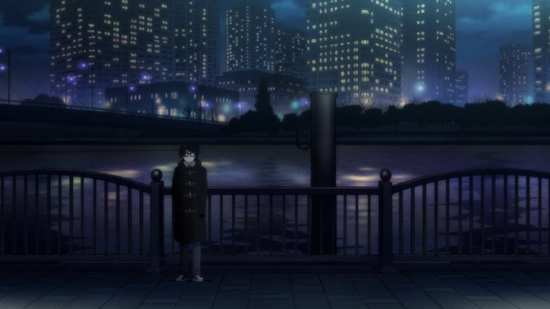 But if, like me you are more interested in the character narratives and the interactions outside the game, invested in seeing how Rei deals with his depression and isolation, then this collection may feel like a diversion rather than a continuation from Part 1. Still, we have Season 2 to look forward to, and despite my lukewarm response to this collection, I am really looking forward to seeing what happens next.